KUCHING: Malaysia’s private consumption and services sector are expected to grow at 7.5 and 6.2 per cent, respectively, for 2019, analysts observed. MIDF Amanah Investment Bank Bhd’s research team (MIDF Research) in a recent report, commented: “We estimate private consumption and services sector to grow at 7.5 and 6.2 per cent respectively for 2019. “Encouraging trend of distributive sales in 2018 is expected to continue for 2019 supported by economic conditions such as strengthening labour market including more job creation and wage growth on top of upbeat tourism activities. “The strong momentum in distributive trade will translate into solid growth for private consumption and services sector thus will drive Malaysia’s economy into a good position in 2019. It noted that distributive trade grew further by 8.6 per cent y-o-y in November 2018 (8.2 per cent y-o-y in October 2018) to RM106.2 billion. It said, retail sales sustained its double digit growth for the sixth consecutive months at 12.6 per cent y-o-y to RM42.9 billion in November 2018, the highest growth in three months after the reintroduction of SST. Wholesale trade and motor vehicles increased by 6.9 per cent y-o-y and 2.1 per cent y-o-y respectively. “The solid growths could be due to higher expenses in accordance to Deepavali festival besides growing purchases from ‘Singles’ Day’ sales,” it said. On a monthly basis, MIDF Research said distributive trade grew marginally by 0.2 per cent. 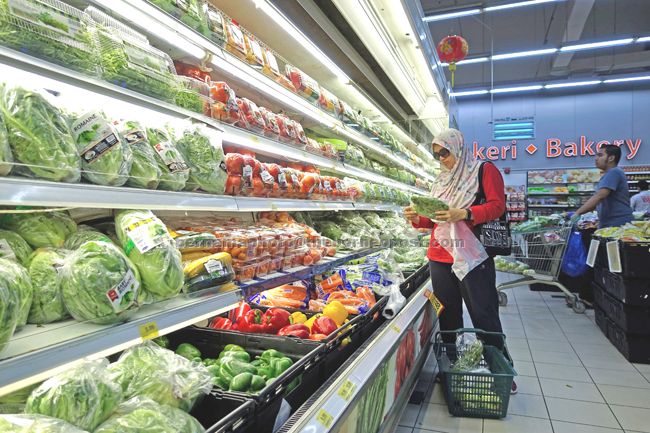 “The domestic trade performances indicate that SST has less significant impact on household consumption as consumers are adapting to it and continue spending,” it highlighted. Looking ahead, the research team pointed out that such gradual increases are likely to continue in upcoming months. “In addition, the reduction of statutory contribution rate by the employers for the employees aged 60 and above, along with zero contribution from the employees will increase the disposable income and provide extra boost to the spending,” it added. On a side note, it said, risks to the global economy remain despite recent trade truce between the US and China as it does little to deal with the core sticking points of the duo’s economic rivalry.